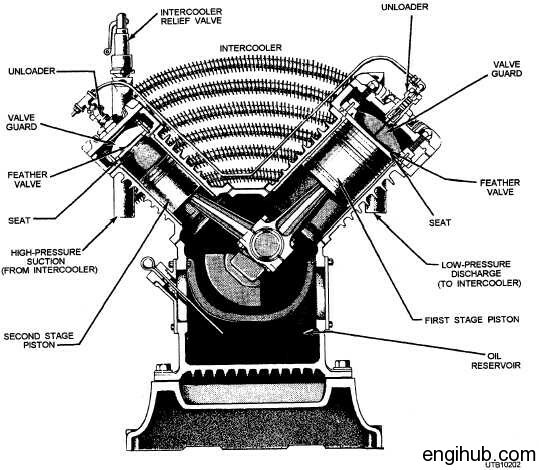 A reciprocating air compressor is an assembly of various parts. When these parts deliver their duties in pre-determined order, we get compressed air. The uses of compressed air are unlimited in the engineering sector. You can use compressed air very effectively at below-mentioned industries. If you are familiar with the parts of reciprocating air compressor, you can rectify simple faults on your own. Every single part is important for efficient working of an air compressor. So, here I will like to share the details about major compressor parts. If you read this article carefully, it will benefit you as like Industrial air compressor service engineer. These compressor spare parts are used in the reciprocating air compressor manufactured by Chicago Pneumatics, Ingersoll Rand, Atlas Copco, etc. 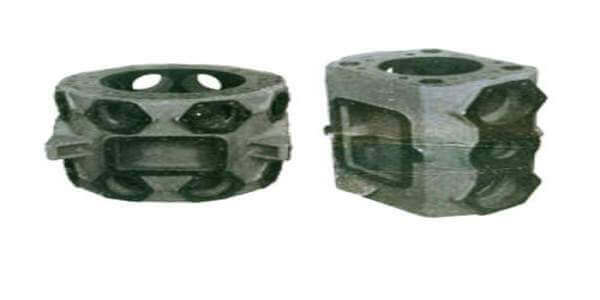 Crankcase which is also known as Frame is a heavy, rugged housing containing all the rotating parts. A cylinder and crosshead guide is also mounted on the crankcase. 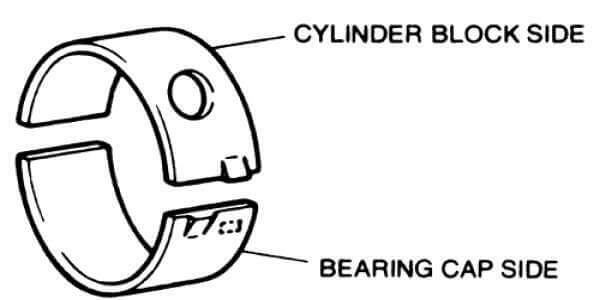 Bearing housing is fitted on a crankcase with accurately bored to fit main bearings. So, misalignment or eccentricity is avoided. 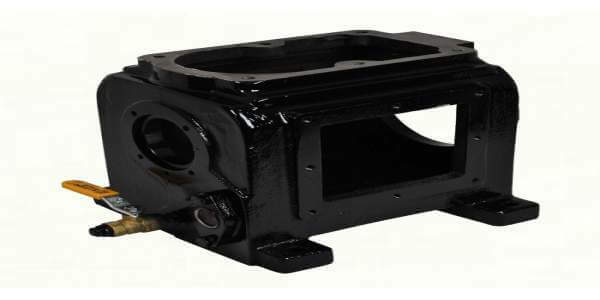 This is a totally enclosed rigid cast iron body in square or rectangle shape, often work as oil sump. 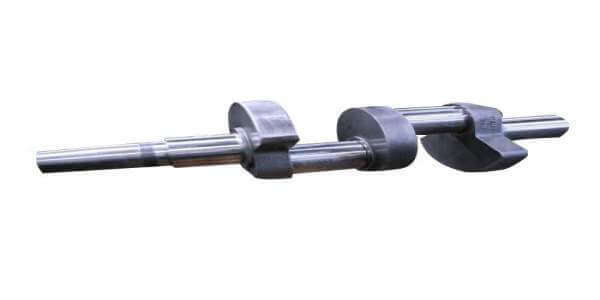 High-grade S.G. Iron crankshaft in one piece in design, dynamically balanced with counterweights, avoid any twisting. Crank pin & journals duly ground & polished ensure the long life of bearings. A flywheel is fitted on the crankshaft. Graded cast iron cylinders designed with a water jacket in water-cooled air compressor to remove heat generated during compression. Designed for streamlined air passage & maximum numbers of valves, cylinder provides a smooth flow of air, thereby minimizing the pressure drop. 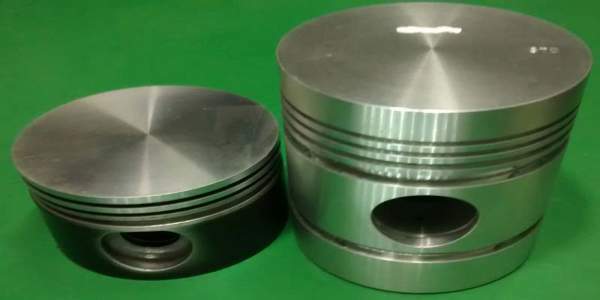 Special Aluminum alloy pistons for non-lubricated air compressor and graded cast iron pistons are used for lubricated models. Piston Rings are used for sealing to a cylinder. 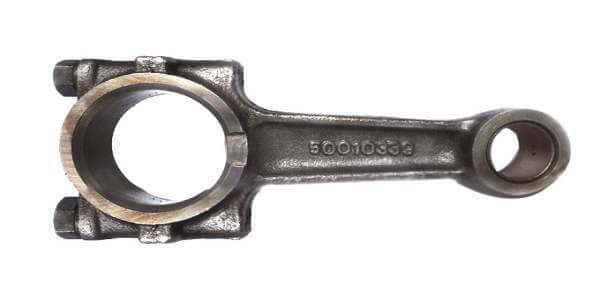 Forged alloy steel connecting rod is duly normalized, are designed to provide minimum thrust on cross head bearing surface. Copper lead alloy designed for long life. It gives perfect rigidity to running gear. 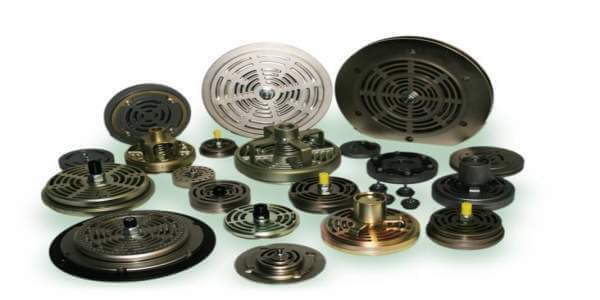 Manufactured from high-grade S.G. Iron material. 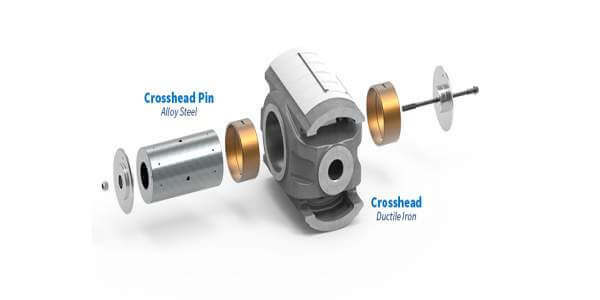 Its low inertia along with low friction cross slide ensure the perfect running of the crosshead. Stainless Steel plate type or spring type valves are arranged symmetrically in suction & discharge provides longer life. It feeds oil to main bearings, connecting rod bearings & to cross slides. 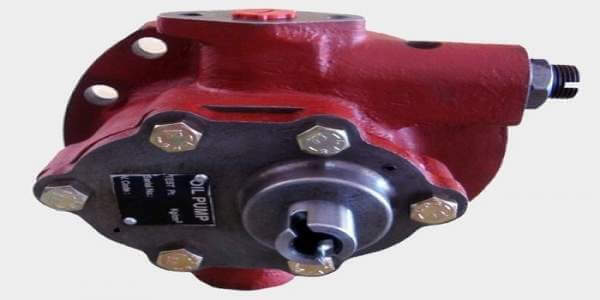 The oil pump regulates the oil pressure by pressure regulating screw. Along with above parts some other small parts as like oil seal ring, small end bushing, Suction filter element, crosshead pin, heads, belts nut, and bolt, gaskets etc. are used.